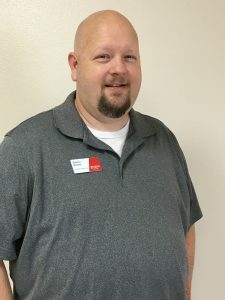 (MARSHALL) – A Texas State Technical College instructor recently participated in a weeklong CompTIA (Computing Technology Industry Association) examination development week in suburban Chicago. Robert Brown, an instructor of Information Technology Studies, worked with nationwide professionals in the cloud management, technology infrastructure, programming, database administration and education fields to develop questions for the CompTIA IT Fundamentals examination. The test is expected to be offered nationwide in 2018 and is updated every three years. CompTIA is a nonprofit trade association providing worldwide vendor-neutral information technology certifications. “CompTIA doesn’t have subject matter experts all the time, so what they do is reach out and try to get input,” Brown said. Brown said the subject debate process to develop test questions was stimulating because of the group’s expertise in different areas. Brown said he took advantage of telling group members about TSTC. Brown was chosen by CompTIA through an application process. Randy Haley, associate vice president for student learning at TSTC, said Brown was a great choice for the nationwide committee. Haley said TSTC students in Marshall test for CompTIA certifications in Network+, Security+ and A+ through the Computer Networking and Systems Administration and Cyber Security programs. He said the CompTIA IT Fundamentals test will be added this fall. “We feel giving students the chance to take the certification tests and them passing increases their chances of getting a better job making more money,” Haley said. Brown has been at TSTC since 2013. Before coming to the Marshall campus, he was co-owner of Inhouse Associates, an internet development firm in Longview. Brown received an Associate of Applied Science degree in Commercial Art in 1994 from Kilgore College. He was also a member of the Commercial Art Club and Phi Theta Kappa – Gamma Omicron Chapter. This entry was posted in Marshall on July 19, 2017 by Daniel Perry.